An engaging story that does not disappoint, with an interesting twist presenting things fom the coach's perspective rather than the players. Coach Kurokan is an oddity in Japan, preferring a from-the-hip style rather than the stable method style practiced by most Japanese teams, which all by itself makes for an entertaining story. Yet at the same time Kurokan engages you and makes you want to keep watching because the story treats things realistically and helps you believe it could really happen, much more so than the typical sports fluff where mere high schoolers all end up regularly performing amazing feats that would seldom be seen even in professional sports (cough, Kuroko's Basketball, cough). I found myself blowing through all the episodes one right after the other and am looking forward to the second season, because the story isn't finished as of episode 33. One important thing to note - don't be turned off by how the story is animated; give it a chance. Kurokan is done by TomoToon, and as such is very different from "standard" anime; it's more like an animated manga, including scene "panels" and even written "sound" effects to go with the actual sound effects. The combination can be a little difficult to get used to at first, but once you do you'll notice it's actually rather efficient; the story moves fast and never really bogs down, another reason why it's so engaging. Episodes are roughly 15 minutes long which actually coincides nicely with the average length of a typical manga chapter. one of best baseball manga. 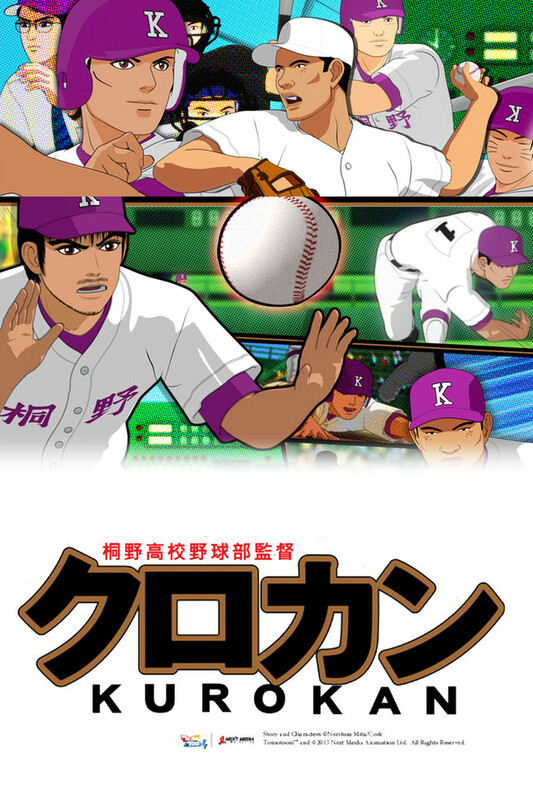 Kuroki coach takes a high school baseball team with zero skills,and helps lift them to victory. if you enjoy high school baseball drama/comedy, this anime will not fail to entertain you. Great use of CG, and the Coach (manager) is very entertaining to watch him in action. Enjoyable Sports Anime with an illustration twist! It keeps me watching and entertained. The main character is overly eccentric but his manner is hilarious. The episode length runs between 10 and 15 minutes. The twist I mentioned comes from the comic book way its presented. Stop reading this and watch a few episodes you will not be disappointed.